Saying goodbye to summer means most pool owners are saying hello to their winter pool covers. A winter pool cover is the best way to prevent leaves, dirt, debris, kids, pets and even UV rays from getting into the pool during the off-season. Here are our tips for choosing the right winter pool cover for your pool and budget. What: Water bag covers are made of a lightweight, tarp-like material that's held down at the edge of the pool by vinyl bags full of water (in the case of on-ground and in-ground pools) and a cord and winch (in the case of above-ground pools). Who: Water bag covers are the most economical winter cover option for in-ground and on-ground pools. They're the only option for most above-ground pools. Sizes: In-ground and on-ground versions of water bag covers only come in rectangles. The water bags themselves are available in 8' or 10' lengths and single or double chambers. Tips: Double chamber water bags offer added security in case one chamber bursts. Vinyl water bags should be filled approximately 3/4 of the way full to allow for the expansion of water when it freezes. What: Lock-in covers are made of tarp-like, lightweight woven polyolefin fabrics (you might recognize the brand name Fabrene) or 16 mm vinyl. Who: Lock-in pool covers can be used by on-ground and in-ground pool owners whose pools have double-track coping. How: A lock-in cover is secured by inserting the cover bead into the top track of your double track coping and is secured even further with T-bead and/or cover wedges. Sizes: All lock-in pool covers are custom fit to your pool and can be made in any shape or size. You can measure your pool yourself or hire a pool dealer to do the measuring for you. Tips: During the summer, vinyl lock-in covers must be stored in water when not in use to prevent them from shrinking or becoming brittle. A large garbage can is the preferred method of storage. If you need to measure for a new cover and have bought a liner or cover at Buds in the last few years, we may be have your cover specs on file and can save you the added cost of measuring fees.You can also visit the Ancaster store and pick up a measure sheet for your pool shape. What: Leaf nets prevent leaves from falling onto your winter cover and decomposing over the winter and spring, making pool opening easier and less messy. Who: Leaf nets are recommended for pools that have been covered with water bag or lock-in covers. How: Ideally, a leaf net would be installed over top of the winter cover and secured with vinyl water bags before the leaves have fallen and removed before the first frost, or after all the leaves have fallen, so no disintegration and decomposition of the leaves can take place. Simply remove the leaf net from your pool and bag your leaves for disposal while they're still whole. Sizes: Leaf nets come in both round and oval shapes for above-ground pools and rectangular shapes for on-ground and in-ground pools. What: Mesh safety covers (AKA elephant covers) are made of durable, long lasting, polypropylene mesh fabric in a variety of weaves and colours. The fabric is secured using straps and an anchoring system that's drilled directly into the pool deck. 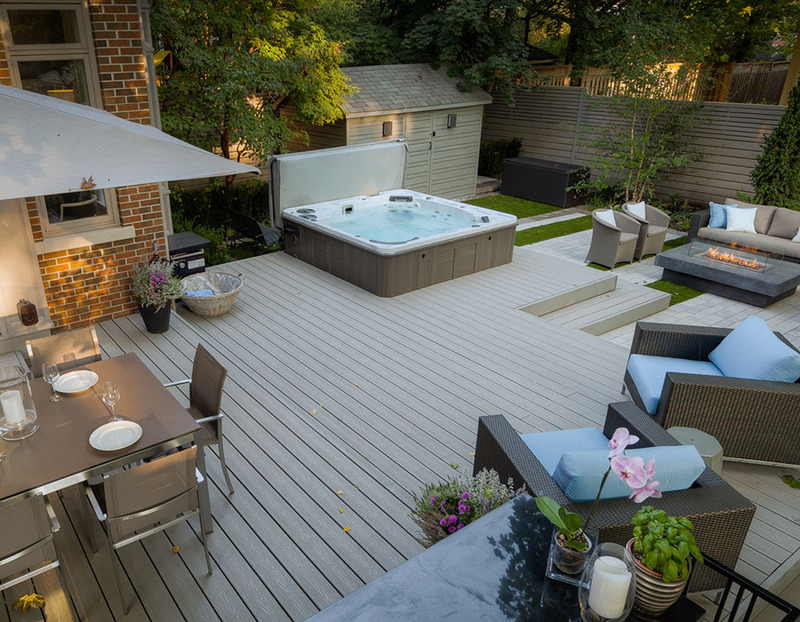 Who: In-ground pool owners who open their pool in early spring, don't have large amounts of debris and leaves in their yard and for whom safety is a high priority. How: The mesh material eliminates standing water hazards by allowing water and melting snow to drain through while screening out most of the dirt and debris. Installation rods are required to install and remove these covers, making them tamper-proof. Sizes: Mesh safety covers can be made in any shape or size. Tips: Proper measurements must be taken, and Buds will send someone to quote a safety cover at no charge. If you're replacing an existing mesh safety cover, it's best to use your old cover as a template so that the strap locations can be noted and there will be no need to drill new holes for installation anchors. What: Solid safety covers are made of tough, long-lasting, light- or heavy-duty gauge vinyl. A solid safety cover blocks 100% of the sun's rays, which minimizes algae growth. Sizes: Solid safety covers are all custom-made to your pool's shape and features. Tips: Solid safety covers have become less popular over the years due to their price and the weight of the cover. Now, almost all safety covers are mesh. If you're replacing an existing solid safety cover, use your old cover as a template. If you're purchasing a solid safety cover for the first time, proper measurements are critical. At Buds, professional measurements are included in your installation price.